We are honored that the Super Bowl Los Angeles Rams choose A-1 Rentals for their Party needs for the big game! Super Bowl LIII. Congratulations to both teams! The Los Angeles Rams trusted A-1 Rentals… shouldn’t you?! April, May, and June are extremely busy months!!! Don't wait and be disappointed..... place your orders now. We always run out of tents, tables, chairs and other unique products those months. It is graduation and wedding season. Check out our new L.E.D. lighting, L.E.D. Furniture, L.E.D. Dance Floors!! Our L.E.D. 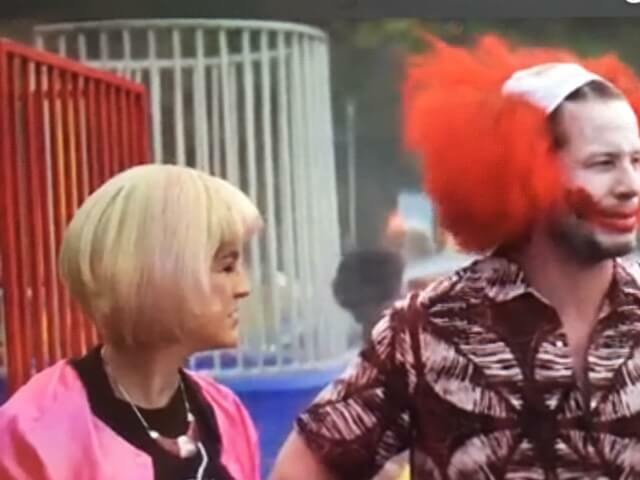 Dance Floor is featured in Jennifer Anistons movie "Office Christmas Party"
Check out our Dunk Tanks in the movie "Neighbors 2"
Welcome to A1 Tent & Party Rentals -- we are excited to do business with you. 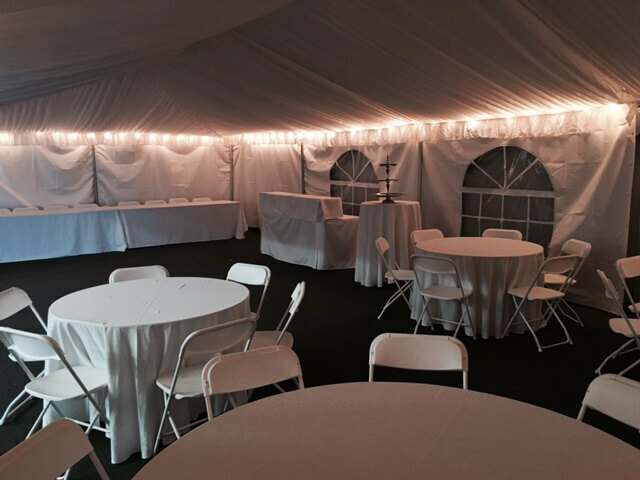 A1 Tent & Party Rentals is an established company with a reputation for providing excellent service and quality products at competitive prices in the Atlanta, Georgia area. This website and catalog have been developed to inform you of the many options available to make your celebration a success. A1 Tent & Party Rentals should have the equipment you need. If you don't see what you're looking for, please feel free to ask! We continually update our rental inventory to meet customer demand. We also rent restrooms. Remember, this website and catalog are guidelines only and some adjustments may be necessary. Your A1 Tent & Party Rental representative can help fine tune your planning. A1 Tent & Party Rentals wishes you much success for your event and we look forward to helping you achieve that success. Please visit our 20,000 sq. ft. facility. We have a showroom with experienced rental specialists to help you. With over 25 years experience, A-1 Rentals offers a full range of tents and party rental equipment to make your event a complete success. Whether it is a wedding, corporate event, reunion, carnival, or backyard party, A-1 Rentals offers various sizes and styles of tents and equipment to meet your needs. In addition to tents, we furnish tables, chairs, lighting, staging, dance floors, linens, china, portable restrooms, and much more to make your event complete. Call us at 770-458-7740. Serving the Atlanta and North Georgia area. We have a few tents on display with lighting options right in our showroom! Come by and check out our inventory of tents, tables, chairs, china and concessions and more. Please call us to setup an appointment so we may better serve you. We would love to meet you. Our Fleet of 8 trucks are ready to deliver to you!! Please order early for the holidays this month. Christmas and New Year's are big rental periods for us. Items such as dance floors, cabaret tables, staging, china, champagne glasses, tables and chairs, red and green linens, pipe/drape, and tent heaters are ALWAYS rented out so please do not wait until the last minute to reserve! If you are having a wedding please reserve early. We only have a limited amount of each tent size. A good rule is to reserve at least 6-12 months ahead. You can always change the exact amount of tables, chairs, and tableware once you get your RSVP's back about a month before your important event. Restroom trailers are in high demand. We only have 2 restroom trailers and they go out every weekend of the wedding season. Graduation season for High School and College is typically May through June. That is the busiest time of the year for us. We have graduations, weddings, school parties and church festivals. We run out of all our tents, tables, and chairs during this time every year. Try to reserve your graduation parties 3-6 months out. Delivery Hours: M-Sat 8-4:00 pm. After delivery hours please inquire.